Our engineering excellence and export achievements have been honoured with more than 25 industry and business awards. 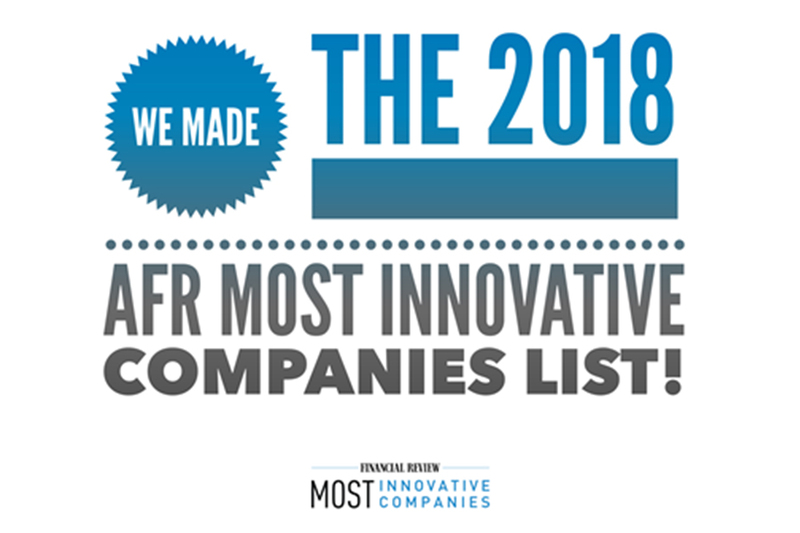 ANCA was honoured to be recognised as one of Australia and New Zealand’s Most Innovative Companies. Coming in at the top 6th most innovative manufacturing businesses, it showcased a recent customised solution for a grinding taps that can run unattended for 50 hours even while grinding multiple different tool designs. The prestigious annual list, published by The Australian Financial Review, is based on a rigorous assessment process managed by Australia’s leading innovation consultancy, Inventium, in conjunction with a panel of industry expert judges. 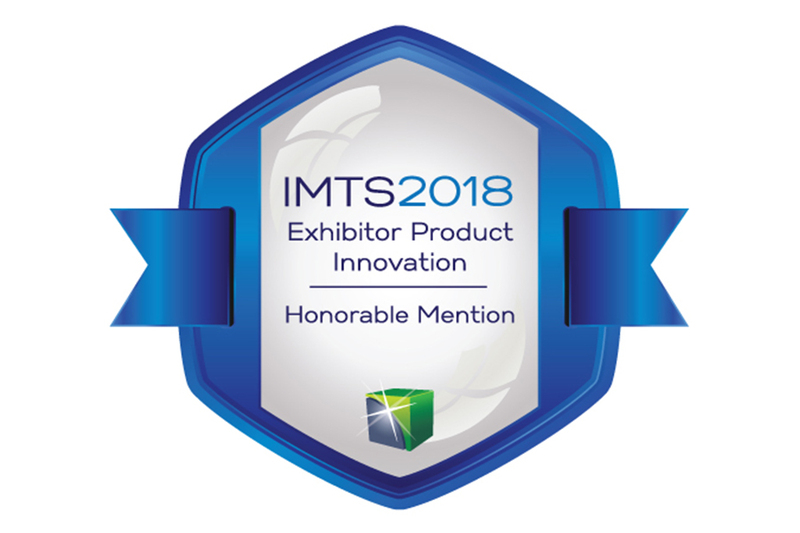 ANCA was awarded an Honorable Mention for the IMTS Product Innovation Competition for the LaserPlus measurement system. IMTS is a International Manufacturing Technology Show with 130,000 visitors and over 2,500 exhibitors. The LaserPlus, integrated with industry-leading profile tool software, allows customers to produce a batch of complex helical profile tools to within the required tolerance - all without manual intervention by the operator or the need for an expensive secondary offline measuring machine. It can measure and maintain an accuracy of ± 0.002mm (0.0001”) or less, over a large batch of tools. ANCA was inducted into the Australian Exporter of the Year Hall of Fame after winning the top accolade three times in 2015, 2012 and 1995. Judges highlighted ANCA’s dedication to innovation and growth, and the company’s strong risk management strategy for intellectual property and skills maintenance. The Hon. Steven Ciobo, Minister for Trade, Tourism and Investment presented the certificate of achievement as an Australian Export Award Hall of Fame to Pat Boland, ANCA Joint Managing Director on Thursday 24 November. At the awards Australia’s exporting and business community came together to celebrate and recognise the outstanding achievements of Australia’s top exporters. 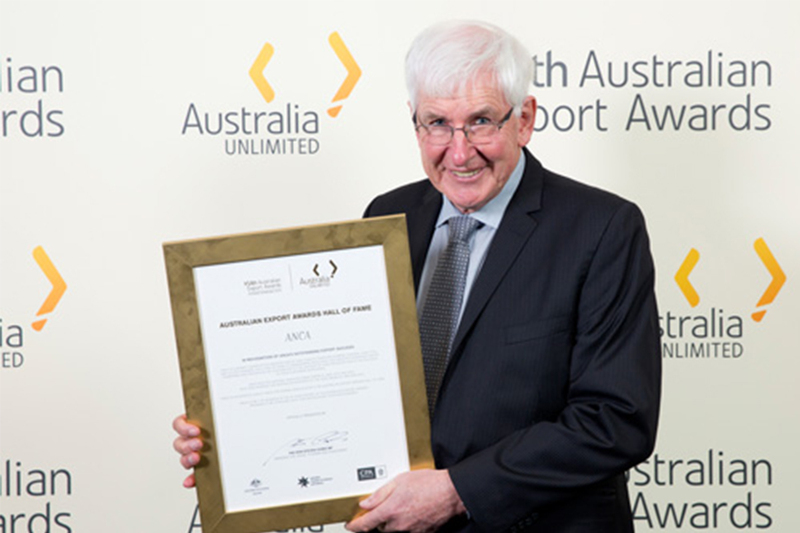 Pat Boland commented, “Being recognised as one of Australia’s top ever exporting businesses is a real honour. I never imagined when I founded ANCA with my business partner Pat McCluskey that our company would grow to become the global market leader in its field of CNC Machines. At our core ANCA has a highly talented workforce who are fascinated in technology and our ongoing commitment to innovation has enabled us to continue to grow and succeed in our field." ANCA won in the Australian Industrial Product of The Year category for its FX Linear tool grinder range. The entry level range is ideal for tasks from light manufacturing, to regrinding and full production. Every element of the machine is new – hardware, software and the electrical system. The machine includes new, faster electronic drives and CNC, a new customisable user panel and Graphic User Interface. Pat McCluskey threw out the corporate rule book and developed a more lean and agile way to develop this project to maintain innovation and design speed for the radically new ideas in this project. McCluskey pulled together a core group to work on the FX Linear machine, while another group developed the LinX cylindrical linear motors required for the machine. This technology was new to the company. For the first time the company used an agile methodology called 'Fast Track', a sub-branch of concurrent engineering which aims to get things happening in parallel. Management reviews were replaced with peer reviews, rapid hypothesis testing was included and enough time was built into the schedule to experiment with new ideas. They had working FX Linear prototypes on the floor in 10 months which would normally take over 18 months. 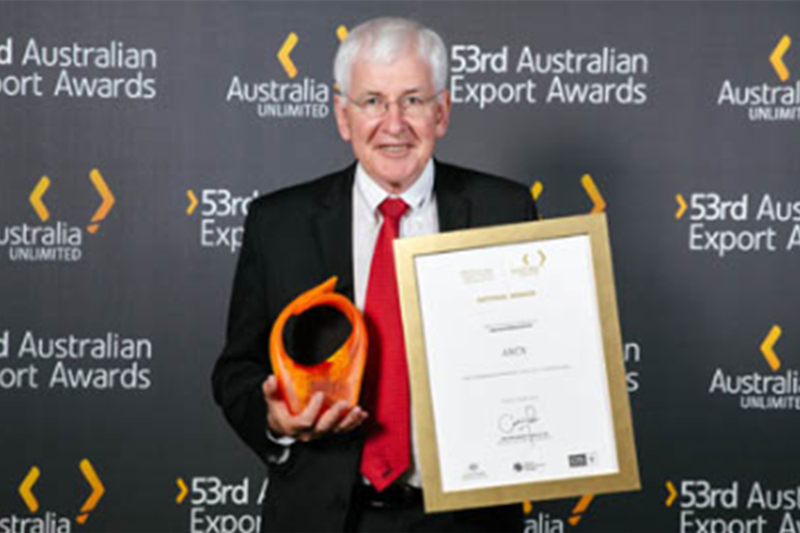 Advanced manufacturer ANCA has been named Exporter of the Year at the 53rd annual Australian Export Awards in Melbourne. Trade and Investment Minister Andrew Robb made the announcement at a gala ceremony, held to honour the achievements of Australian businesses in international markets. “I’m delighted to present ANCA with the Australian Exporter of the Year award for their outstanding success in manufacturing innovative advanced machinery that’s in increasingly high demand around the world,” Mr Robb said. ANCA was also named the winner of this year’s Manufacturing category. 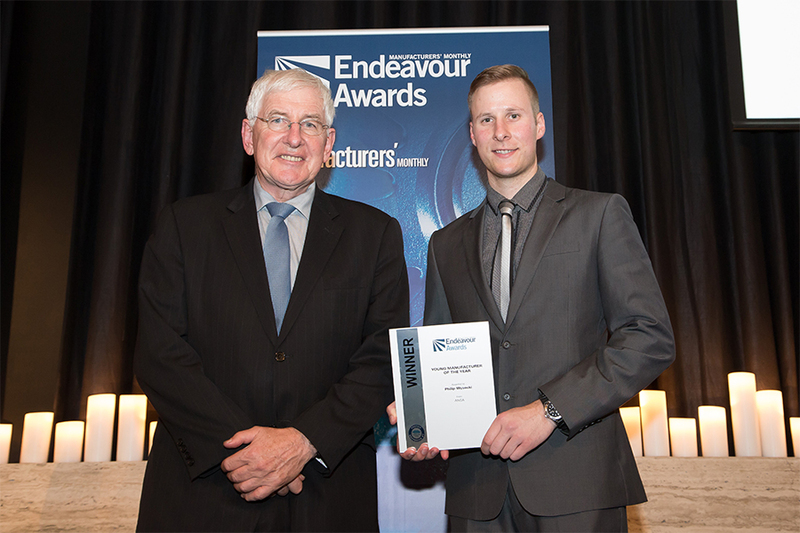 The Young Manufacturer of the Year Award was presented to Philip Wysocki from ANCA (left) by Martin Sinclair of Cirrus Media. ANCA describes Wysocki as an inspirational employee, always willing to help others, and one who does whatever it takes to deliver on projects. “Pat, the co-founder, both the Pats actually (founders Boland and McCluskey), they built ANCA up themselves and they actually both mentored me in terms of electrical systems design and the grinding machines themselves,” explained Wysocki after receiving the award. We value people with a taste for problem-solving, and a collaborative approach. See how our global teams are connecting with their local community in meaningful ways. Reach high. Think differently. Invent. It’s time for you to get ahead in your career.